Ever wondered what it's like to live life as a platypus? 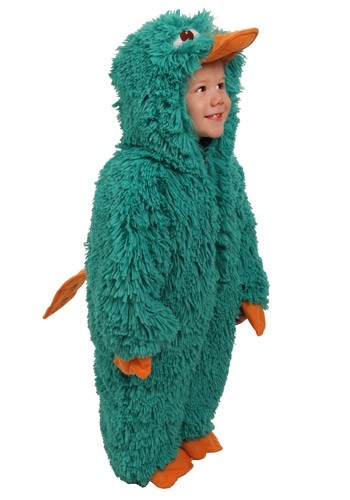 All it takes is one of these adult platypus jumpsuits. One little known fact about the platypus is that they often like to sport a fedora and foil the plans of evil geniuses who want to take over the tri-state area. They're also apparently turquoise and make a great pet for families. We should probably mention that we get all of our valuable information about platypuses from cartoons. We watch a lot of cartoons.